Northampton Town have signed Austrian pair Lumbardh Salihu and Marin Pozgain on two-year contracts, pending international clearance. Boss Gary Johnson has been tracking the pair since they were invited to a trial day earlier in the summer. 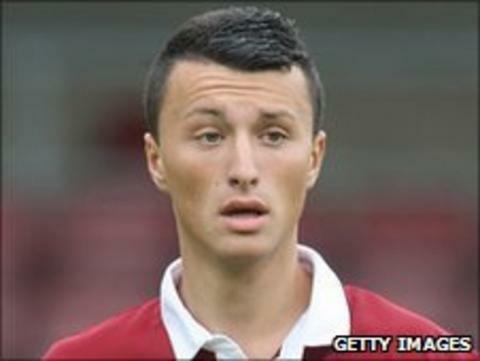 Midfielder Pozgain, 17, has remained in England, featuring in the Cobblers' pre-season programme. Striker Salihu, 18, returned to Austria while the Sixfields side finalised the paperwork on the deal. Ahead of the signings Johnson told BBC Radio Northampton: "We're just making sure the striker can come over as well - they come as a pair. There's a club that need to give us permission to bring him over."